← Sticks and Stones May Break My Bones, But Stress Will Really Hurt Me. I recently went out for breakfast, and whilst scanning my options on the menu card, my glance fleetingly visited the ‘Healthy Options’ section. With great disappointment I noticed that one of the items on offer was the egg white only omelette. I went on to order the full cooked breakfast. It does however raise a valid point. The prevalence of the notion that consuming egg yolks is a detriment to your health and provides a one-way ticket to a heart disease filled hell is a notion that is actually widespread in society. It is a perfect example of how most people are confused about nutrition. The egg yolk is the healthiest part of the egg. 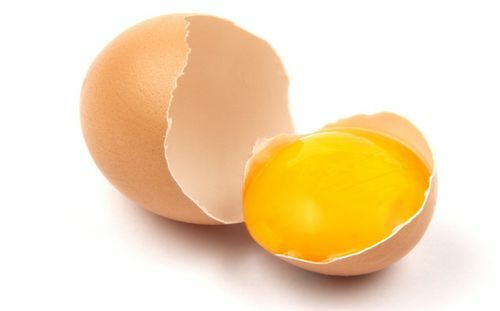 By throwing out the yolk and only consuming the egg whites, you are basically throwing out the most nutrient dense, antioxidant rich, vitamin and mineral loaded portion of the egg. In fact the egg whites hardly contain any nutrition at all! The slew of nutrients in an egg yolk is so comprehensive that a few a day probably offer better insurance than a multivitamin. It is of course true that egg whites are rich in protein. But you actually need to consume the yolks in order to balance out the amino acid profile and make the protein more bioavailable. Still a nonbeliever? Check out the table below with the data provided by the USDA. It should be kept in mind that the volume of the egg yolk is smaller than the white, emphasising more just how jam-packed full of nutrients you actually is. Another interesting fact is that it yolks are a good source of Selenium. In fact a single egg yolk provides approximately 20% of your daily Selenium requirement. This helps the body make antioxidants but has also been shown to improve fertility in men. The most common nutritional deficiencies in people of developed countries according to the Interagency Board for Nutrition Monitoring are: If aagnesium, calcium, iron, folate and vitamin A, E and B6. a glance at the above table would indicate that egg yolks would go a long way to reducing those deficiencies. Eggs are an excellent source of carotenoids. These are highly absorbable forms of Lutein and Zeaxanthin. These accumulate in the back of the eye protect against age-related macular degeneration. And now onto one of the most common misconceptions. Egg yolks have long been maligned because of their cholesterol content, but cholesterol itself does not cause heart disease. In fact, while LDL, a major carrier of cholesterol in the blood, does have a role in heart disease, it develops when poor metabolism, deficient diets and toxins destroy the LDL particle that heart disease develops. There have also been plenty of studies recently including the 2006 article in ” Current Opinion in Critical Nutrition and Metabolic Care” that indicate that eating whole eggs actually increases your good HDL cholesterol to a higher degree than LDL, hence improving the overall ratio. But, if only it was so easy! Not all eggs are created equally. The above is all true, but is more relevant when considering organic free range eggs. Pastured eggs, meaning eggs from chickens are free to forage for grass and insects are of a much higher nutritional quality than eggs from confined chickens. So the next time someone tells you that the best part of the egg is the white, you are now armed with the knowledge to dispute that claim. And if that fails, ponder this. It is hard to believe that our ancestors thousands of years ago threw out the yolks and only ate the egg whites. They intuitively knew that all of the nutrition was found In these yolks.